Lockheed SR-71 Blackbird. Since 1976, the world's fastest air-breathing manned aircraft. Boeing B-17G Flying Fortress "I'll Be Around"
The Pima Air & Space Museum, located in Tucson, Arizona, is one of the world's largest non-government funded aerospace museums. The museum features a display of nearly 300 aircraft spread out over 80 acres (320,000 m²) on a campus occupying 127 acres (610,000 m²). It has also been the home to the Arizona Aviation Hall of Fame since 1991. A large number of the museum's aircraft are displayed outside with the remainder located in one of the museum's four display hangars. In addition to the display hangars, the museum has a restoration hangar. Opened to the public in May 1976 with 48 aircraft then on display, the Museum's main hangar houses an SR-71A Blackbird, an A-10 Warthog, a United States Air Force Through the Years exhibit, and a mock-up of a control tower. The museum is adjacent to Davis-Monthan Air Force Base. The 309th Aerospace Maintenance and Regeneration Group (AMARG), affiliated with the base, also known as the "Graveyard of Planes" or "The Boneyard", is the largest aircraft storage and preservation facility in the world. Bus tours of the boneyard leave from the museum several times a day from Monday to Friday, except Federal holidays. 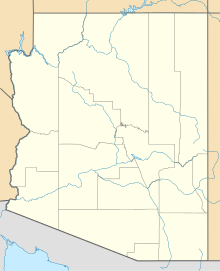 The nearby Titan Missile Museum is located about 20 miles south of Tucson in Green Valley off of Interstate 19 and features a Titan II intercontinental ballistic missile still in its silo. Tours of the above-ground and underground installations around the missile are conducted daily. More extensive "top-to-bottom" tours take up to five hours and are conducted several times each month. Reservations are required for a top-to-bottom tour. Both museums are overseen by the Arizona Aerospace Foundation and are governed by the board of trustees. They are a non-profit 501(c)(3) organization that rely on visitors paying admissions, for trams and AMARG tours, as well as what they spend in the museum stores. They also rely on memberships and contracted events to pay to restore and acquire exhibits. The museum opened to the public on May 8, 1976. In early 1982 the first hangar on the site was completed. A second was built in 1987, a third in 1992, and a fourth in 1994. In 2012, the museum collaborated with artists, in The Boneyard Project, to place some abandoned aircraft on display as canvases for art. During 2015, Boeing donated to the museum the second 787 aircraft to be built. It is exhibited in the colors of the 787 customer, ANA. In November 2016, Orbis International donated their first McDonnell-Douglas DC-10 Flying Eye Hospital to the museum, after receiving a second DC-10 from FedEx. The DC-10, which was the oldest flying example of its type at the time of its donation, is being restored for display at Davis–Monthan Air Force Base. ^ a b c Stemm, James. "History of the Pima Air & Space Museum". Pima Air & Space Museum. Pimaair.org. Retrieved May 12, 2017. ^ "RESTORATION HANGAR & PROJECT STATUS". Pima Air & Space Museum. Archived from the original on February 8, 2014. Retrieved May 14, 2017. ^ ""BONEYARD"/AMARG TOUR". Pima Air & Space Museum. Pimaair.org. Retrieved May 15, 2017. ^ "THE ARIZONA AEROSPACE FOUNDATION". Pima Air & Space Museum. Pimaair.org. Retrieved May 15, 2017. ^ Firestone, Eric (2012). "[Homepage]". The Boneyard Project: Return Trip. Retrieved May 15, 2017. ^ Francis, Christopher (2013). "Plane becomes canvas at Pima Air & Space Museum". Tucson News Now. Raycom Media. Retrieved May 15, 2017. ^ "Boeing donates 787-8 ZA002 (N787EX) to the Pima Air and Space Museum". World Airline News. Retrieved August 26, 2015. ^ Wilson, William. "Pima Space Museum to get DC-10 that served as flying eye hospital". Arizona Daily Star. Retrieved 20 November 2018. ^ "390TH MEMORIAL MUSEUM". Pima Air & Space Museum. Archived from the original on February 8, 2014. Retrieved May 15, 2017. ^ "HANGAR 4". Pima Air & Space Museum. Archived from the original on February 8, 2014. Retrieved May 15, 2017. ^ "HANGAR 3". Pima Air & Space Museum. Archived from the original on February 8, 2014. Retrieved May 15, 2017. ^ a b c "HANGAR 1 SOUTH THE SPIRIT OF FREEDOM HANGAR". Pima Air & Space Museum. Archived from the original on February 8, 2014. Retrieved May 15, 2017. 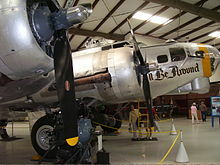 Wikimedia Commons has media related to Pima Air & Space Museum. The Boneyard Project, Eric Firestone Gallery, Tucson. Includes narrated video/slide show. This page was last edited on 11 January 2019, at 18:12 (UTC).